Jaipur is the capital of the state of Rajasthan. 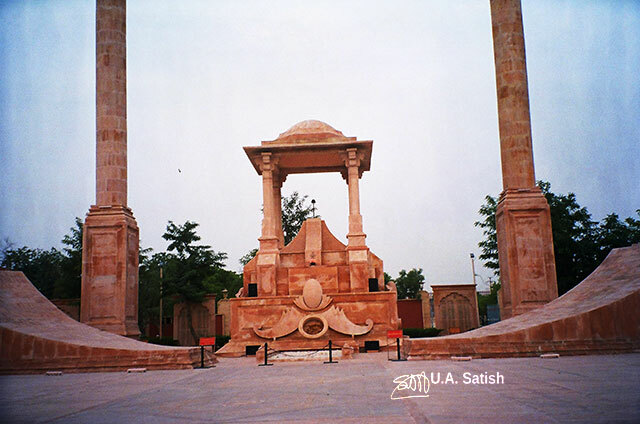 It was founded in 1726 by Maharaja Jai Singh II after whom the city is named. It is 260 km from New Delhi. 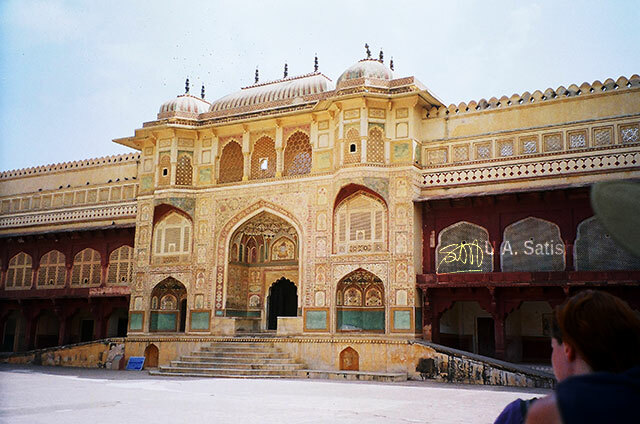 Jaipur is the gateway to other tourist destinations in Rajasthan such as Jodhpur, Jaisalmer, Ajmer and Udaipur. The Golden Triangle is formed by Jaipur, Agra and New Delhi. Hawa Mahal is one of the best-known tourist spots in the city. It has a unique facade with 953 windows or Jharokhas which bear intricate decorations. The royal ladies used to look down on the street below without they themselves being seen. A five-storied structure, it is located in the heart of the city and is considered a prime example of Rajputana architecture. 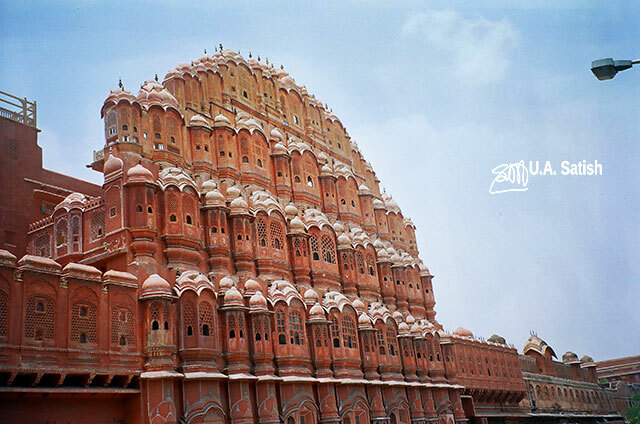 Built of pink sandstone, the Hawa Mahal is Jaipur’s iconic landmark. Jaipur is known as the Pink City. This is because each building within the walled historic centre is painted a terracotta pink colour. Maharaja Sawai Ram Singh II had the city painted pink to welcome the Prince of Wales in 1876. The Maharaja then passed a law in 1877 making it illegal for buildings to be painted any other colour than Jaipur Pink. The law is i force even today. City Palace is within the walled city. 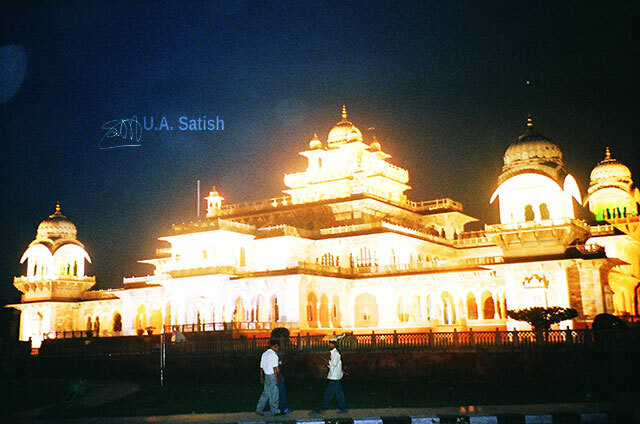 It was built by Maharaja Jai Singh II, the founder of Jaipur. It is still home to the descendants of the royal family who occupy a private section of the palace. The palace is adorned with beautiful paintings on the ceiling. 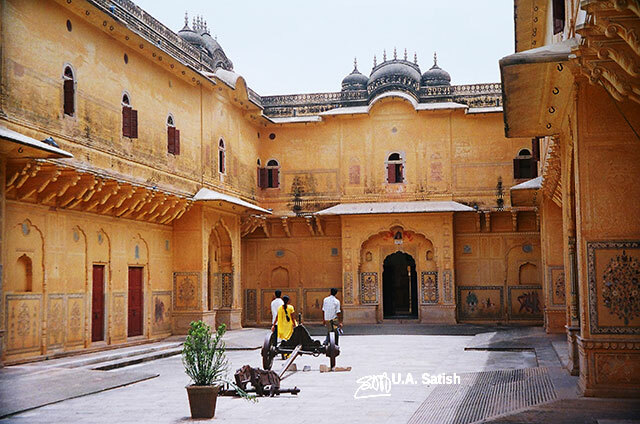 Within the palace complex is Maharaja Sawai Man Singh II Museum. Moti Doongri is a small hill which has a palace on top. 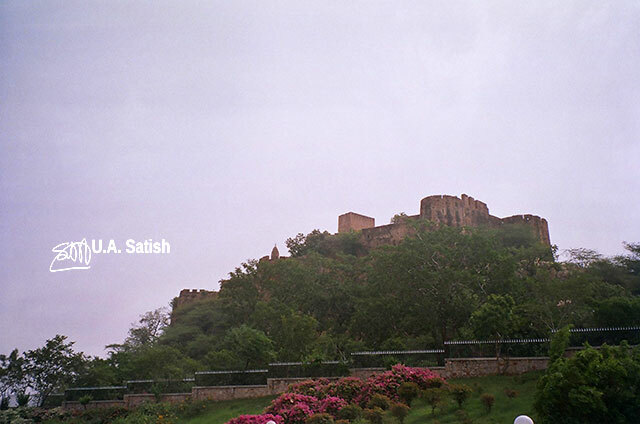 Built along the lines of a Scottish castle, it was the royal home of Maharaja Sawai Man Singh II. His third Maharani consort, Maharani Gayatri Devi used to reside in the palace. She passed away on 29 July 2009 in Jaipur at the age of 90. Amar Jawan Jyoti is a memorial to the martyred soldiers of Rajasthan. Eternal flames burn at four corners of the structure. It is brillianly illuminated at night. 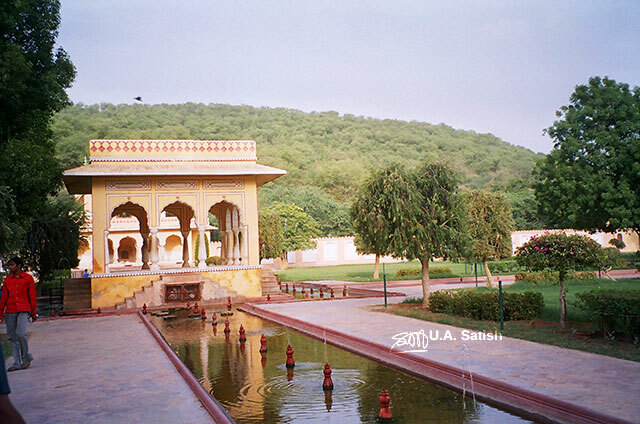 Located at the foothills of Nahargarh hills is Kanak Vrindavan which is a popular picnic spot. The beautifully landscaped gardens include a temple, marble columns and fountains. The exquisitely designed Prince Albert Hall is located in Ram Niwas Garden. Sir Swinton Jacob was the architect. The Prince of Wales laid the foundation stone of the building in 1876. The museum displays a wide range of metal objects, wood crafts, carpets, sculptures, arms, weapons, ivory carvings and precious stones. It also showcases an impressive collection of miniatures from Bundi, Kota, Kishangarh, Udaipur and Jaipur schools of art. 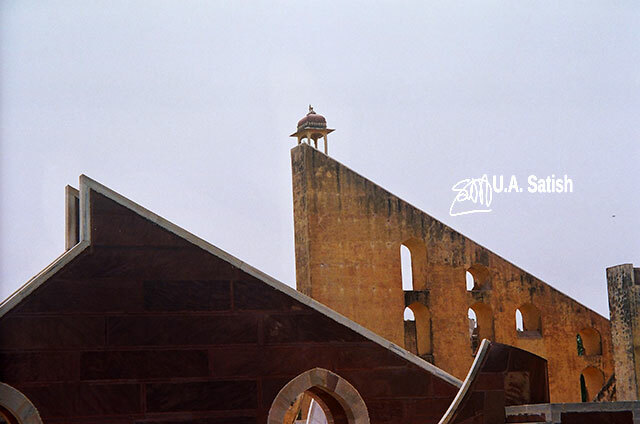 Jantar Mantar in Jaipur is the largest of the five astronomical observatories built by Maharaja Sawai Jai Singh II. It contains sixteen geometric devices which are designed to measure time, track celestial bodies and observe the orbits of the planets around the sun. It is now a UNESCO World Heritage Site. 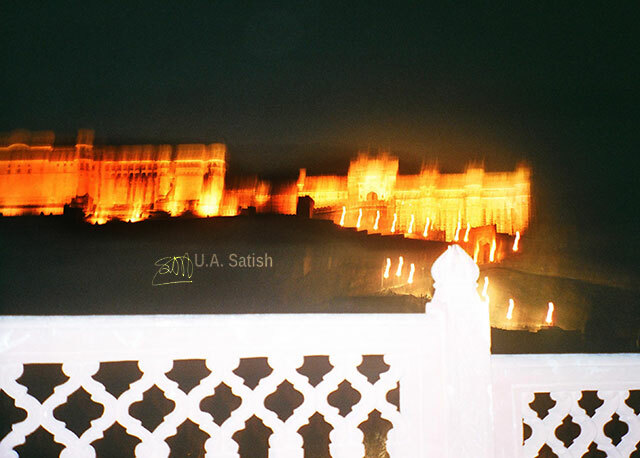 Nahargarh Fort, which was the residence of the King Sawai Jai Singh II, is on top of a hill in the northwest corner of the old city. The fort houses Madhavendra Bhawan which was the summer residence of the royal family. The fort looks brilliant when illuminated at night. Amber Fort is 11 km from Jaipur. 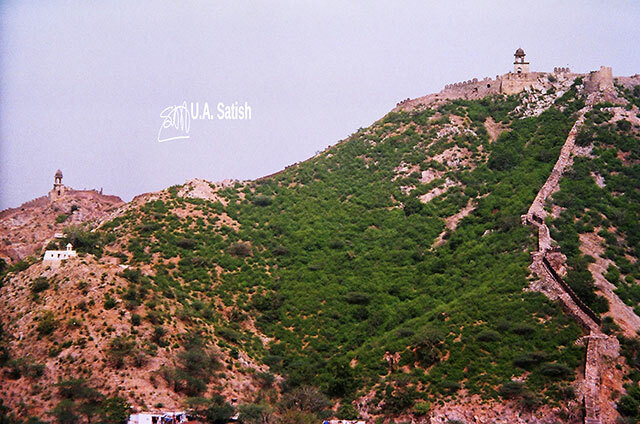 It is on top of a hill and is a major tourist attraction. Built of sandstone and marble, the fort overlooks Maota Lake. The fort is a UNESCO World Heritage Site. Jaipur is positioned on National Highway 8 which connects Mumbai and New Delhi. Trains link Jaipur with all major cities in India. Phase I of Jaipur Metro commenced operations in June 2015. The Metro line has nine stations. Jaipur International Airport is situated in Sanganer, 11 km from the city centre. If you liked the post, follow me on Instagram, Flickr and Facebook to get regular updates.